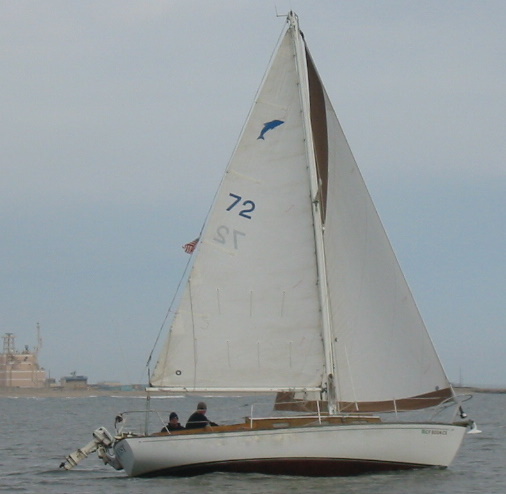 John Shumaker, founder of Yankee Yachts, advised us that Amber Rose was the second Dolphin 24 he built on a bare hull #72 acquired from O'Day in 1964. She had wood decks and cabin, a spruce mast, and was sold to John Ambrose. This boat is now Gian Bowles' Quest and is sailing in the Channel Islands. The following picture was sent in by Gian. Click here to go to her page .